Creating the annual plan is like solving a puzzle. In the past, I viewed the activity as more forecasting than planning. The plan was a list of goals and objectives that we hoped to achieve but we never knew what changes in the business might alter the plan. Inevitably something like customer mergers, acquisitions, unplanned results, or even customer defections would alter our plan. For me it was puzzle challenge number 1. The annual plan received focused attention before starting the year and then became a dead-document. In this sense I’m referring more to the goals and objectives. I worked many years where we didn’t relook at the goals and objectives again until it was time to write the annual performance reviews. It was always a mystery to me why we didn’t go back and look those plans. This was puzzle challenge number 2. The good news for me is that I like working puzzles. I’ve always enjoyed the journey of solving puzzles even more than the end result. 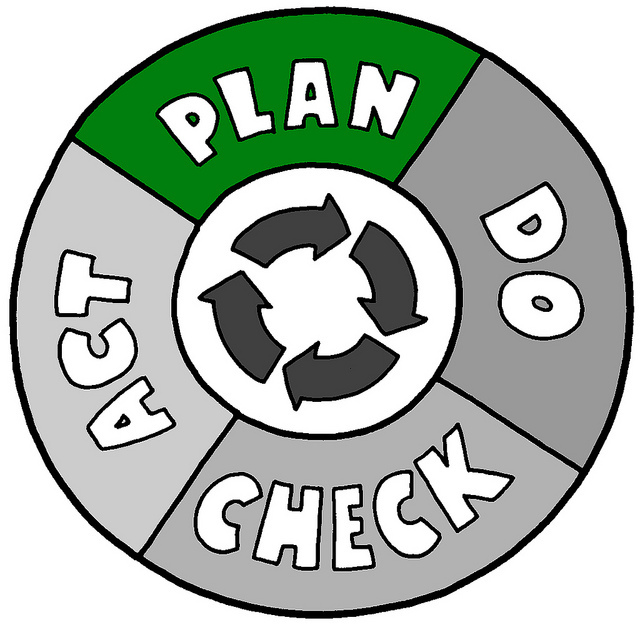 As with most cases in business processes and management there isn’t one best way to create an annual plan. There are many variables such as culture and industry that will influence the approach. As my responsibilities have grown over time I’ve been able to influence the annual planning process more with my thoughts and learnings. I like the A3 problem solving method that is used by lean practitioners. The method looks for root causes with an attempt to prevent recurrence. It addresses the dead-document issue by including steps for checking and following-up on the solution. The approach is also attempts to simplify the whole process by focusing on what is most important. Get the plan on a single page and then execute it. For the 2016 year I used past learnings and tried an approach to put the annual plan in A3 format (source:Lean.org). Step 1 – Get input from other department heads to focus on alignment. Nothing spells dysfunction like an IT department out-of-synch with other business departments. I’ve always said that IT is a service organization. It exists to enable the other business functions to be successful. Asking for input on business objectives from marketing, operations, customer service, sales, and finance should be a natural first step to create the IT plan, roadmap, and budget. Step 2 – Learn, repeat, and stretch. The A3 approach for planning focuses on a structure approach to thinking about the plan. It allows us to state what was learned, repeat what works and to stretch to set new baselines. Big plans are complicated to write and can leave the audience overwhelmed. The A3 approach keeps the message concise and focused on the most important things. When I wrote the A3 based plan it required that I make decisions about what to purposefully include. That doesn’t mean that our group doesn’t have other planned actions, but those actions should support the larger initiatives. The plan is intended to give business partners a chance to see a consolidated statement of how the IT group intends to contribute to the overall business objectives.Step 3 – Get the story on one page. 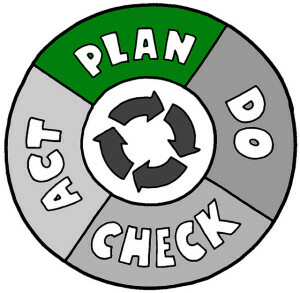 Step 4 – Review the plan with other department heads to check and confirm understanding of alignment. The plan ends right back where it started. The best way to check understanding is to confirm the plan with the other department heads. It’s a quality check. But it’s also a touch-point for IT-business alignment and the start of the momentum to execute the plan activities.